The rapid development of antimicrobial resistant (AMR) bacteria questions our current control measures for the infectious disease field. Antimicrobial usage (AMU) in agriculture is the important contributing factor to this global public health threat. The research findings of the current microbiological and epidemiological studies revealed the common usage of several classes of clinically critical important antibiotics in community for both human and animal populations; and how this contributes to the high prevalence of AMR bacteria in associated environments. The findings in the whole genome sequence studies implied the bi-direction sharing of AMR bacteria between animals and humans. The social studies show limited understanding of community members on appropriate of AMU and AMR development, which impacts their practices. However, they awared of the potential impact on public health. These findings indicated that managing AMU in Vietnam will require feasible holistic approaches which would impact the whole society to change the current situation. 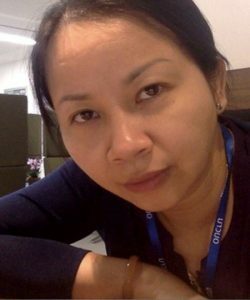 Ngo T. Hoa completed her PhD training at Royal Holloway, University of London and spent three years at Yale University as postdoc fellow, funded by the Wellcome Trust. She joined Oxford University Clinical Research Unit, HCMC, Vietnam in 2005. She has led the Zoonoses group since 2013. She has published more than 60 papers in international peer reviewed journals.